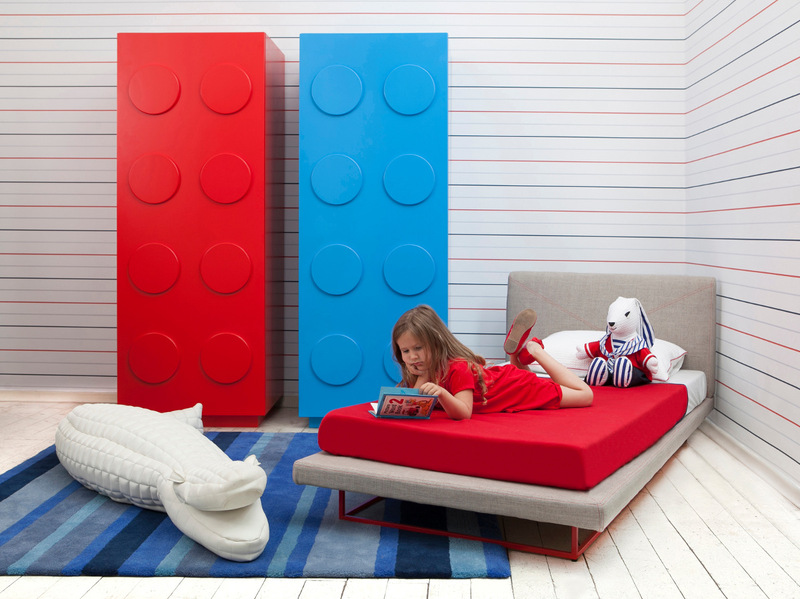 This fun furniture collection plays homage to a familiar children’s game: Legos. 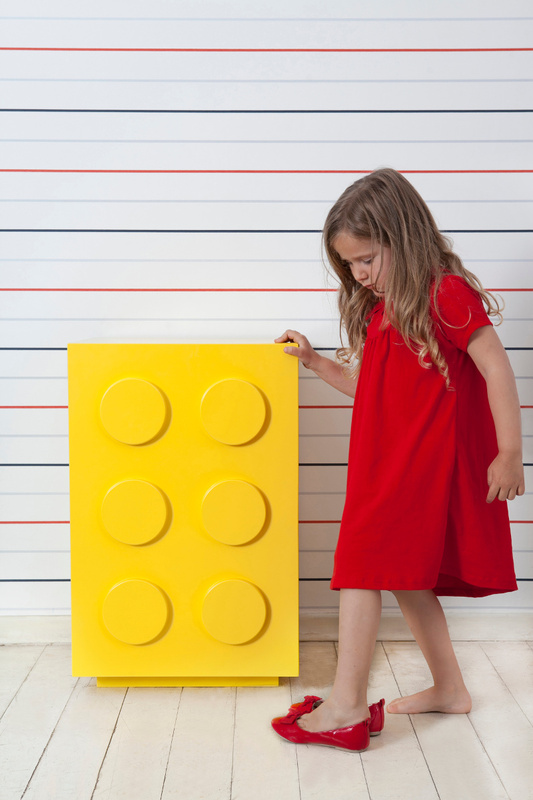 The Lego toy has been around for years, existing in every child’s toy box, associated with lifelong memories. By using distinct geometric shapes, a concise color palette, as well as natural wood, a unique collection was created highlighting the classic game design. The grooves evident on a Lego are also mimicked in the furniture design. The range of custom-made furniture includes cabinets, libraries and buffets, along with soft upholstered items and textile products to complement the look. 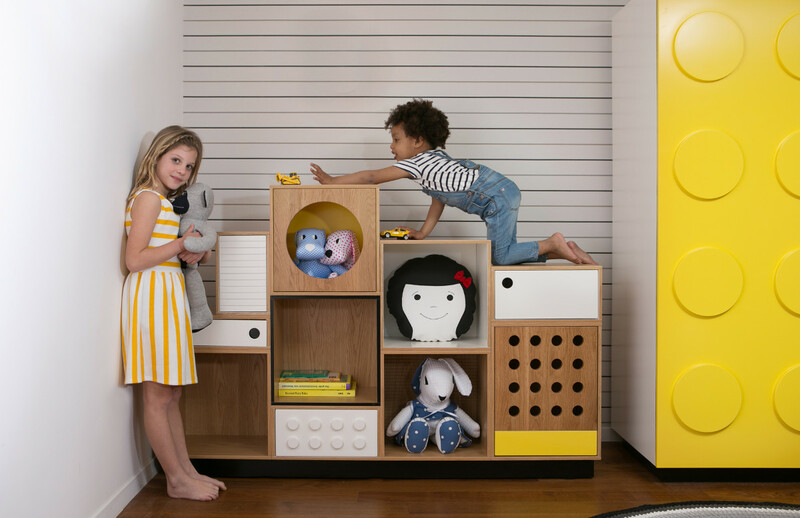 Bright colors and a mix of wood and fabric furniture pieces emanate the feeling of living in a Lego World, providing children with an endlessly playful childhood.